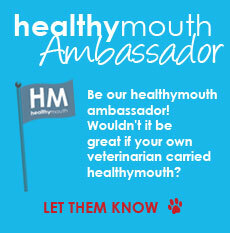 HealthyMouth, LLC is a company dedicated to partnering with the veterinary and rescue communities to promote dental care awareness, education and products free of synthetic or artificial ingredients that, when combined with professional dental cleaning and office visits, provide a comprehensive home dental care program for dog, cat and horse owners. 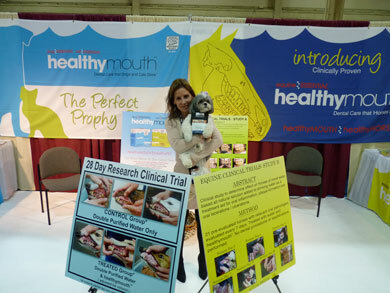 HealthyMouth, LLC has taken oral health care to a new level offering the most scientifically proven, safe and simple for pet owners to use, home dental products available on the market today. HealthyMouth, LLC is also committed to pursing meaningful and successful work and meaningful and successful philanthropy, exhibiting that the two may go hand in hand. 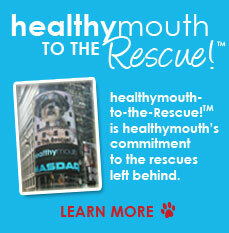 HealthymouthTM dental care products are the first of their kind on the market. 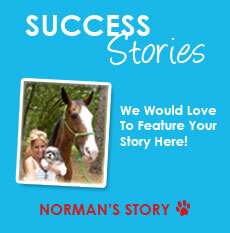 Its Patented formulas, free of all synthetic or artificial ingredients are already clinically proven on dogs and on horses. In dogs specifically, to reduce plaque that leads to gingivitis, gum disease and bacterial infection by a remarkable 71.9 percent and 76.7 percent respectably in two clinical trials without artificial enhancements. And only four months after its launch, The Veterinary Oral Health Council announced it had awarded healthymouthTM its prestigious seal of acceptance for plaque control in dogs. HealthymouthTM is the FIRST and ONLY dental water additive ever to be awarded this seal. In development for more than three years, the formulas are 100% free of synthetic or artificial ingredients. The actives including papain (a highly effective enzyme derived from papaya), pomegranate and blueberry, powerful anti-oxidants, yucca, clove, cinnamon and citric acid, selected for their deodorizing and anti-bacterial properties, vitamins C and B2, for the immune system and salmon oil; certified mercury free, from Norway, selected for it's anti-inflammatory properties. The key to the formulas are the combination of the ingredients selected and how the actives operate off of each other to produce the desired benefits and results effectively and safely. In addition, most products are formulated using a hot processing method. It is easier, but as a result most of the benefits of the ingredients are lost. We use a cold pressed processing technology, and do not filter the products; retaining the efficacy of the actives at a low, but potent dose. The result is highly effective formulas producing increasingly beneficial results with long term use, yet gentle enough to be used every day in the place of regular water.